Silos" are organizations' vertical structures - but the word has become synonymous with barriers to workplace effectiveness and connotes deep political infighting. Silos devastate organizations, kill productivity, push good people out the door, and jeopardize the achievement of corporate goals. They cause stress, exasperation, and disappointment by forcing employees to fight bloody, unwinnable battles with people who should be teammates. 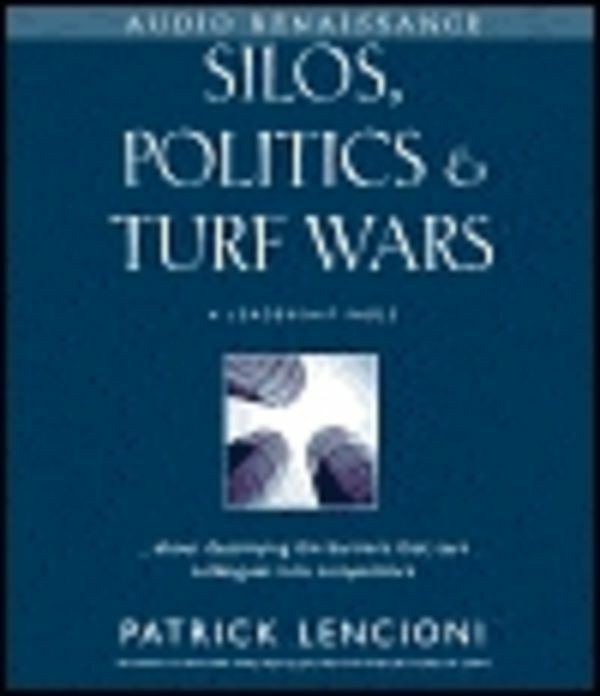 Like his other fables, SILOS, POLITICS, & TURF WARS is fiction in realistic form, involving not one, but three organizations, all struggling to eliminate their silos and bridge a sense of alignment back in place.